Pugs originated in China, dating back to 206 B.C. with the Han Dynasty. They were adored by Chinese emperors and often had their own soldiers to protect them. They lived a life of luxury. Starting in the 1500s, China began trading with European countries. The Dutch brought Pugs back with them, and royal Europeans immediately fell in love. There’s even a story that a Pug saved the life of the Prince of Orange by barking at Spaniards that were approaching the castle. Afterward, the Pug became the official dog of the House of Orange. When the British overran the Chinese Empire, they found purer Chinese Pugs that were an all around better version of the European Pug. They brought many of these Pugs home with them. Most notably, two Pugs named Lamb and Moss, who were bred to make Click. Click was bred many times, and now these three pugs are credited for the creation of the modern day Pug. Pugs were bred to be companions, and they fill that role quite well. They are loving animals and desire lots of attention. Pug owners say have a playful, charming, and sociable personality. Truly a lap dog, the pug will always be happy to lay with you while you read a book or watch TV. Pugs are ideal for older owners because they are rather sedentary and low maintenance. While some dogs get destructive if they do not get proper exercise, Pugs will instead entertain you with silly antics. Most Pug owners agree that Pugs are easy to train as long as you are consistent and firm with them. Pugs are highly motivated by treats and praise, so make sure to reward them when they are doing well. On the other hand, they don’t handle punishment very well. Instead of yelling at them, correct their mistake. For example, if your Pug is not allowed to sit on the couch and he jumps up, pick him up and move him onto his own dog bed. Although Pugs are characteristically playful and energetic, they do not need a lot of exercise. A short walk and some playtime should suffice. When it is hot or humid out, adjust your Pug’s exercise schedule. They are not very tolerant of heat and run the risk of overheating. Pugs also tend to dislike the cold and rain, and some refuse to go outside in bad weather. If this is the case with your pug, spend extra time playing inside on rainy days. Due to their short stature, the lifespan of a Pug usually ranges from 12-15 years. Is the Pug Breed Popular? Pugs are a fairly popular pet. The American Kennel Club ranked them the 32nd most popular breed in the U.S. It is recommended that you feed your pug ½-1 cup of food each day, divided into two meals. It is imperative that you watch your Pug’s weight because they love to eat. A Pug characteristic that can result in obesity and other health problems is how they will eat even if they are not hungry. In order to reduce the risk of obesity, make sure to feed your pug the proper serving size, limit their treats, and give them sufficient exercise. Pugs are a double coated breed, and they tend to shed a lot, especially in summer months. Regular brushing and bathing keep the dog’s coat healthy, and also helps prevent extra hair from being shed. Monthly baths are recommended, however, some pug owners prefer to bath their dogs more frequently. To maintain good Pug health, pay special attention to your Pug’s facial folds after bathing, as they are a breeding ground for bacteria and can lead to infection. Simply wipe the folds with a cotton ball or baby wipe to rid of any grime that may be in the folds. In addition, their bulging eyes make them more vulnerable to irritation and infection that may occur due to shampoo getting in their eye. You must trim their nails frequently, as they don’t exercise much and their nails don’t get filed down on their own. Pugs are also prone to periodontal disease, so add biweekly teeth brushing to your grooming schedule to prevent dental health issues. Are Pugs Good With Kids? Pugs and kids make a great combination. A Pug’s silly antics and tricks can make any kid smile. Pugs love playing with children, and unlike many toy breeds, they aren’t delicate, so your kid won’t insure them during playtime. However, it is still good to supervise their interactions. At the end of the day, Pugs are happy just to lay down and keep the child company. Cheyletiella Dermatitis (Walking Dandruff): Walking Dandruff is a condition caused by a small mite that results in extreme dandruff. If you notice pug dandruff, you will need to get all of the pets in your household checked, as it is contagious. Diabetes: Diabetes is a chronic disease caused by either a lack of insulin or the body’s inadequate response to insulin. Unfortunately, there is no cure for diabetes in dogs. However, it is manageable. Dry Eye: Dry eye in Pugs occurs when the eye does not produce enough tears to keep the eye moist. There can be several different reasons for Pug dry eye, and you should take him to a vet to verify the reason. Afterward, treatment can be prescribed to help. Encephalitis: Encephalitis occurs when the brain becomes inflamed. Signs a Pug has an encephalitis include fever, seizure, behavioral changes and decreased responsiveness. Keep in mind, the cause of the inflammation will affect what kind of symptoms the dog has. Epilepsy: It is a good idea for pet owners to be on the lookout for signs of Pug epilepsy since the breed is prone to it. If a Pug has had a seizure, they should be taken to a vet as soon as possible to see what the cause of the seizure is. There are multiple types of epilepsy in Pugs, and treatment is dependent on the type. If a Pug collapses, paddles his legs, and lets out frenzied barks, they may be having a seizure. Hemi-Vertebrae: Hemi-Vertebrae is a condition that often affects short-nosed breeds. Sometimes only a few of the vertebrae are affected, and the Pug can live a normal and healthy life. Other times, the condition can worsen, and the Pug can become paralyzed. Legg-Perthes Disease: Many toy breeds suffer from Legg-Perthes Disease. This condition occurs when the blood supply to the femur is decreased, and the head of the femur that connects to the pelvis begins to disintegrate. With surgery, the head of the femur can be cut off, and the scar tissue makes for a false joint. This disease usually develops in puppies within the first 4-6 months of age. Mange: Mange is used to describe a wide variety of skin infections specific to dogs. Demodectic mange is a skin condition caused by a variety of mites and often results in hair loss and skin lesions. Sarcoptic mange, or canine scabies, is caused by the Sarcoptes scabiei mite and can cause intense irritation and itching. Nerve Degeneration: Nerve degeneration usually affects older Pugs. Signs that a Pug may be experiencing nerve degeneration include dragging their rear legs, staggering, incontinence, and trouble jumping. A vet can prescribe Pugs medication to help with the condition, and some owners get a little cart for their Pug’s back legs, as their front legs remain healthy. Patellar Luxation: Patellar Luxation occurs when the knee joint slides in and out of place. It usually only causes the dog pain when it moves out of place, and most dogs live normal lives with this condition. Separation Anxiety: Because Pugs love social interaction, if they are left alone for extended periods of time, they can develop separation anxiety. There are many things you can do to alleviate Pug anxiety, such as giving them new toys as you are leaving, so they have a distraction. Vaccination Sensitivity: Many Pugs have reported to reacting negatively to some routine vaccinations. If your Pug develops hives, face swelling, soreness, or lethargy after vaccination, he may be sensitive to it. Yeast Infection: When Pugs smell bad and have itchy or black skin, they may have a yeast infection. Thankfully, there are many treatments for yeast infection, and it’s easily curable. 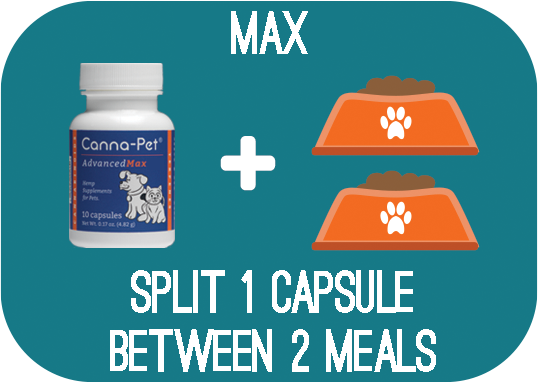 Implementing the CBD pills has enabled us to significantly decrease his seizure incidents AND phenobarbital dosage, which is wonderful since the pharmaceutical drug is hard for the liver to process. They have literally worked a miracle! He is relaxed and calm no matter what is going on. Thank you so much!